Durisol wall form units are manufactured at our factory in South Wales. Manufacturing in the UK gives us complete control of the production process and ensures we maintain our high consistency standards. Not being dependent on supplies from overseas means we can meet production demand with minimal lead time as well as maintaining a level pricing structure not affected by fluctuating currency exchange rates. If you would like to see the Durisol wall form units in production you are welcome to visit the factory for a prearranged visit. One of the principle benefits of the Durisol system is the ease of construction. It’s a simple to use construction system, which can be managed by both experienced contractors as well as first-time self-builders. The wall form units are dry stacked directly onto the foundation. The wall form units stack together to quickly form your building, ready for the concrete pour. The concrete is firstly poured up to damp proof course and then the build continues. 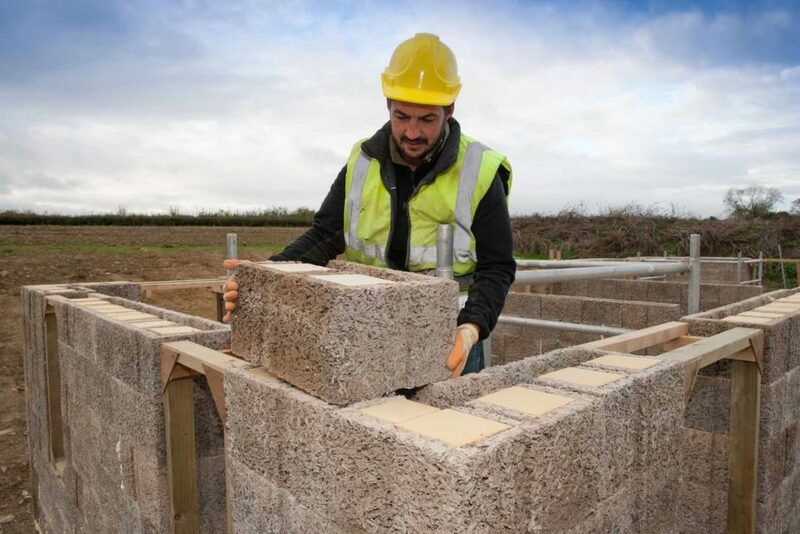 Propping is not required as the weight of the blocks provides stability during the build. Durisol can be constructed in all weather conditions. Chasing for electrics and plumbing is easy and fast. This can be done with either a wall chaser or a powered circular saw. All flooring systems can be used with Durisol and most external finishes can be applied including render, brick, brick render, timber cladding and rain screen cladding. We offer free training days, allowing you learn how to build with Durisol and get face to face demonstrations, examples and assistance. Click here to find out when our next training days are. Durisol wall form units are designed so that the insulation is external to the concrete core and wraps around the full envelope of the wall. The thermal mass effect from this insulation results in reduced heating costs as the energy/heat in the wall is transferred back into the cooler air. 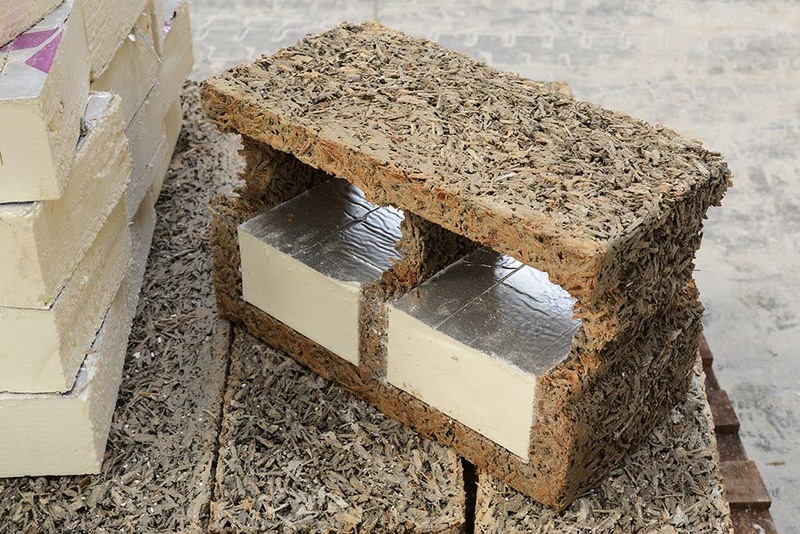 Foam ICFs are less effective as they have 50% of the insulation on the interior face, which reduces the net benefit that is obtained through the effects of thermal mass. U-values – Durisol walls have values without additional insulation down to 0.15 W/m²K. They can easily be reduced further by an external cladding of extra insulation but this is only likely to be necessary if Passivhaus standards are required. PSI values – Average PSI values in the range of 0.04 to 0.08 are usual depending on design. SAP calculations are far more sensitive to the movement in PSI values compared to relatively large changes in wall, floor or roof U-values. With the products excellent junction PSI values it is possible to reduce the need for renewables. Excellent air tightness results – High-performance level of air tightness in conjunction with final wall finishes. The considerable concrete mass in a Durisol wall system when used in conjunction with appropriate finishes provides an excellent reduction in sound transmission. Durisol wall form units have attained European levels of fire resistance, which are considerably higher than the UK regulations. Durisol woodcrete will not burn or rot due to the mineralisation process during its manufacture. Durisol has a 90-minute certified fire rating but has been tested to six hours. Durisol thermal bridging PSI values are better than accredited details and all Durisol wall form units have been fire tested to 240 minutes @1100ºC to BS476: Pt 20:1987. 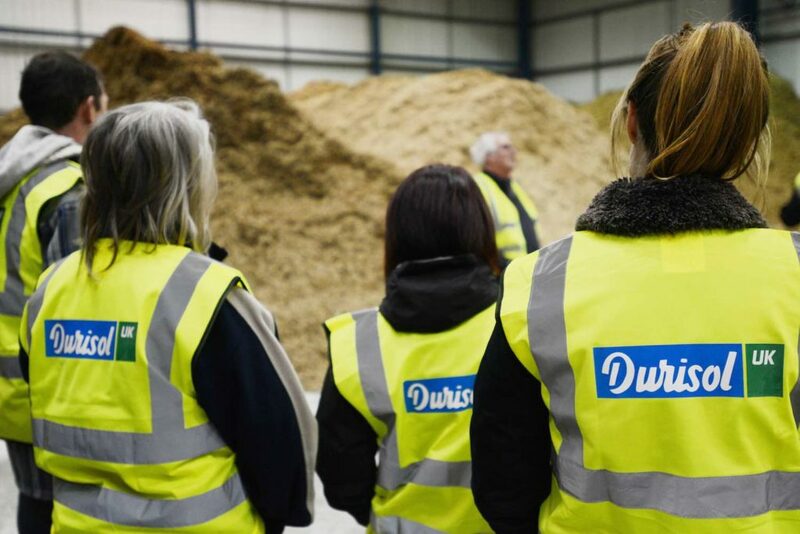 Durisol is accredited by the BBA and BREEAM and technically approved by LABC. Durisol wood concrete ICF wall form units are a truly green and healthy product. 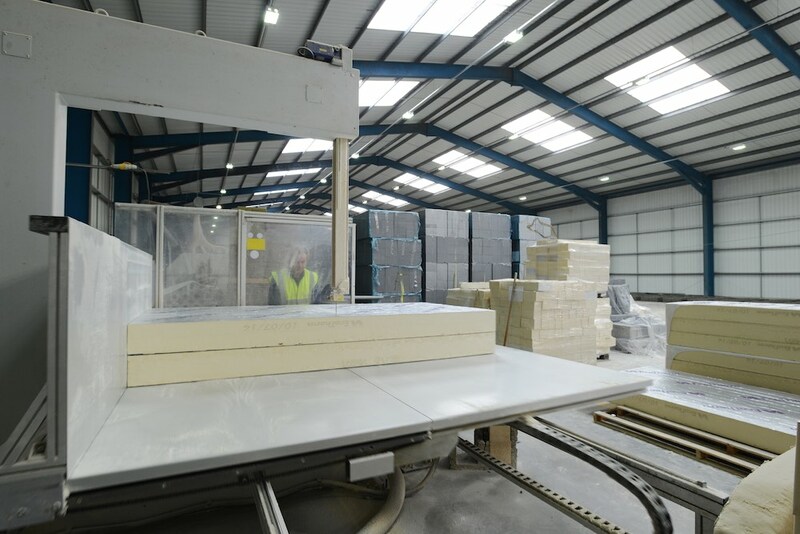 Our environmentally friendly ICF forms use recycled material, softwood aggregates that are by-products of the timber industry. In terms of resource depletion and carbon costs, our net cost is broadly neutral. 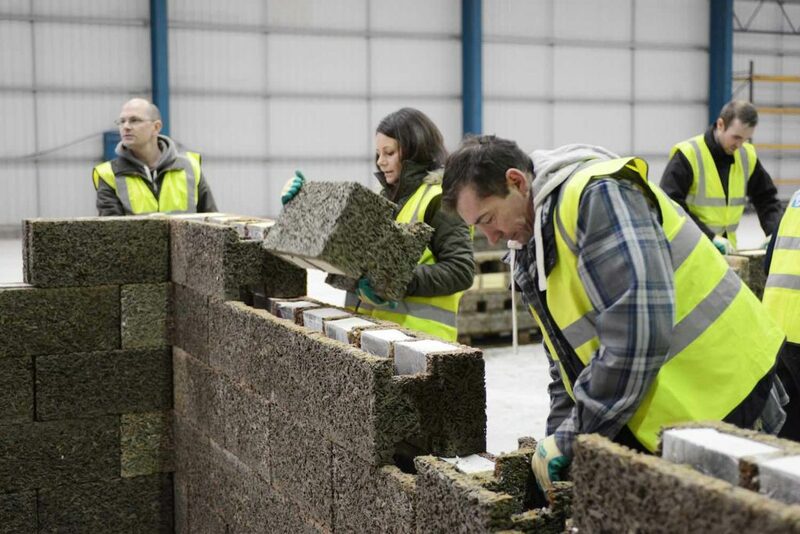 Whilst cement is used during production and in the construction of the walls, there are various compensating factors which reduce our carbon count to below most traditional methods of construction. 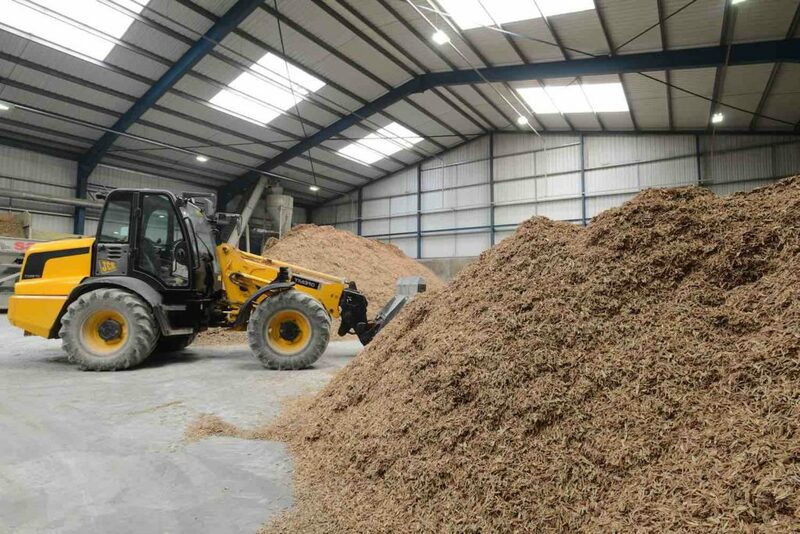 An average 3-bed semi-detached house built from Durisol will have 10 tonnes of recycled wood in the product. This wood is made up of old pallets and off cuts which would have been destined for landfill and consequently would have released carbon back into the atmosphere. The mineralisation of the wood in our process and subsequent coating in cement locks up that carbon for at least 100 years, if not permanently. Durisol wall form units are manufactured by moulding onto the factory floor and they then set at room temperature – there is no requirement for extra energy to warm the units. In the manufacturing process, we use Cenin as a replacement for ordinary Portland cement, which greatly reduces the carbon content of the Durisol unit.